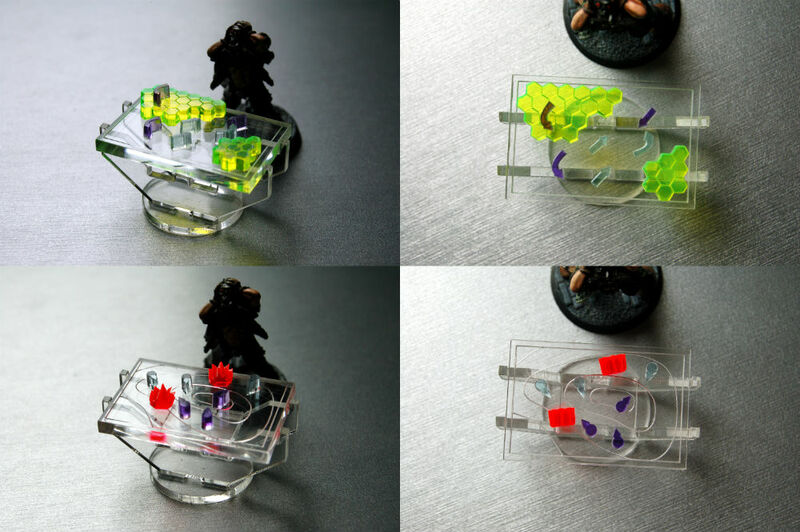 Oldhammer Forum • View topic - Re:[BOYL]MINI Mini Wargames Tables. At BOYL this weekend! 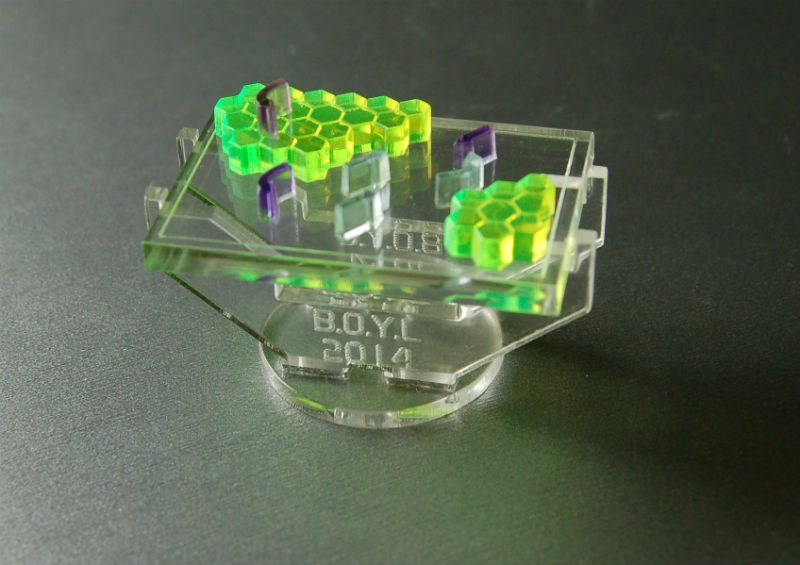 Re:[BOYL]MINI Mini Wargames Tables. At BOYL this weekend! I have arranged to have these souvenirs made for distribution at BOYL. 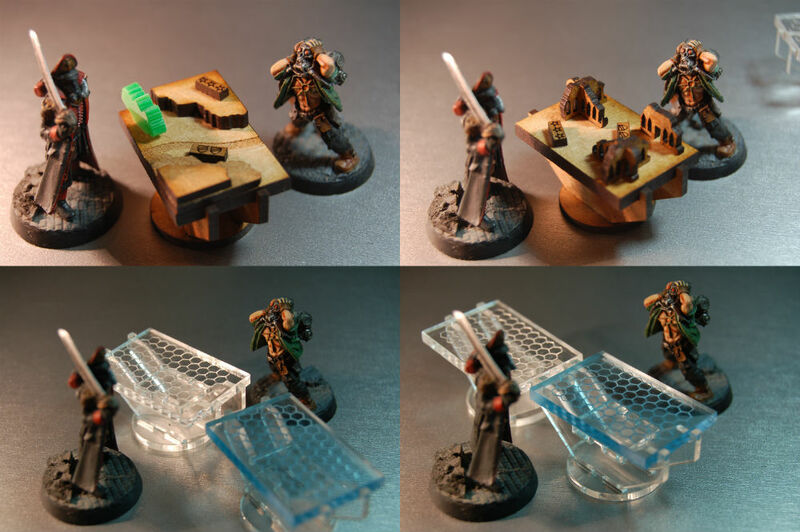 They are 28mm scale laser cut tables in both sci-fi (acrylic) and fantasy (MDF) varieties. Check out the new Castle and Landing pad added since the last update. I think that they have potential to be used for all sorts of fun things in games (Space Hulk objectives, seedy cantina scenery, "Assault on the Wargames Club" scenarios, dioramas where generals plan their moves by their tents, etc). I certainly intend to use mine as gaming pieces. I got the prototypes in the post the other day and I hope to take some photos with my toy soldiers over the next week or so. To keep things simple the tables will be available in a two pack containing one of each type, an acrylic and a MDF. This makes the admin easy for me. Numbers are limited. Post on this thread and you will be added to the list. Price is £6 for the set, one of each type. If you wish to pay in advance (thereby helping me with my costs) then PM me and we can sort out Paypal. Pre-order price is £4.50 for the pair. Im not trying to make money on this, but I cant end up out of pocket either (I am skint). I hope to end up with enough extra bucks to buy myself a couple of pints at the event, but nothing more than that and being out of pocket is not an option. I am morally fine with that, but if it bothers you, then dont get involved. These are prototypes. There will be some changes to the final design. This is a pretty solid idea of what you will get, but bear in mind that everything is subject to some change from these designs. There will be numerous small design differences in the tables: some will have etched roads, some rivers, some contour lines, some hexes etc. 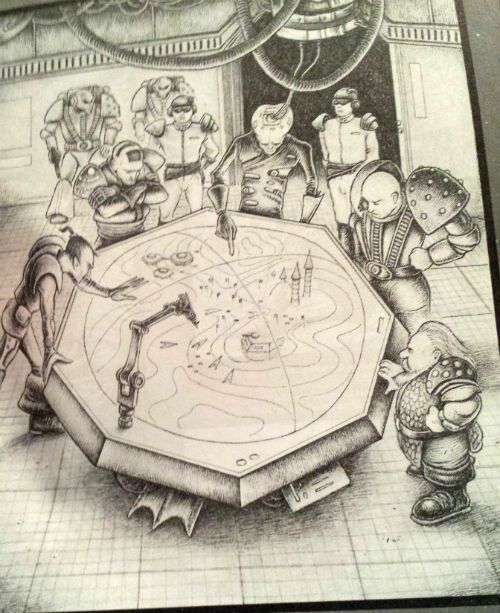 The scatter terrain and exact table pattern will be supplied randomly. Not all sets will have all additional items available. Thats just the way it is. There will be a number of bits of "scatter terrain" "woods, stepped hills etc) and "units" in each "flat pack" table pack. Number of scatter items per pack as yet unknown. It will likely be approximately six per table. £6 at BOYL IF you post your interest in this thread. £4.50 if you want to pay in advance. PM me. EDIT: Some images of some quickly painted MDF tables and some goofy images of miniatures "playing". Last edited by cheetor on Wed Aug 06, 2014 10:00 pm, edited 7 times in total. Last edited by cheetor on Fri Jun 27, 2014 8:21 am, edited 25 times in total. Cracking! I'm up for a pre-order pair please. Yup I'll have a pair please! I'm interested, but why are numbers limited? Just curious. I'll take a pre-order pair. PM on its way shortly. Will I put you down for a pair? Citadel Collector wrote: but why are numbers limited? Just curious. Logistics: not having to bring a suitcase full of these to BOYL would be a good thing. Timetabling: I have a few non-toy soldier things lined up between now and BOYL which will eat into my time and resources, so I want to get this signed, sealed and delivered sooner rather than later. I guess thats a "limited time" rather than "limited stock" thing really though. They are connected all the same. Makes sense. I'll PM you re an order. I'll take a set. PM me your email and I'll paypal you. Count me in too. They're lookng great. I hope my halfling generals wil be able to see over the top.